The Wallace embryo replacement catheters are the worldwide gold standard which has consistently produced significantly higher successful pregnancy rates than alternative catheters. Designed to avoid embryo damage, the inner catheter are made of medical grade polyurethane which has shown to be non-embryotoxic. 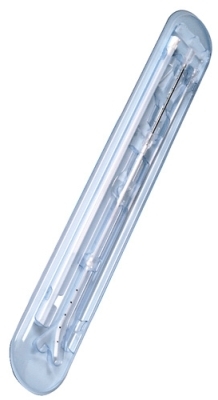 The hand-finished, round tip prevent atraumatic introduction and graduations on the inner catheter allow alignment with the outer sheath, producing a smooth radius for minimal trauma during insertion. Trial transfer catheters for patient assessment. Malleable stylets to ease difficult insertions by providing the rigidity to negotiate a convoluted cervix. 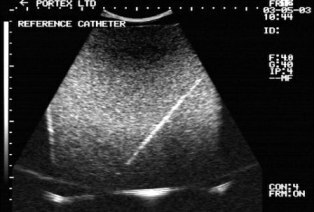 Combining the benefits of the Classic Wallace Catheters, the Sureview Catheters is 100% echogenic, the entire length of the catheter is visible under ultrasound. More and more clinicians and embryologists worldwide have witnessed demonstrable improvement in pregnancy rates when embryo transfer procedure is done under ultrasound. The new range of Sure-Pro™ embryo replacement catheters combines all the benefits of the Gold Standard Classic catheters with the added benefit of increased support. comprising of a supported soft inner catheter and a pre-formed outer sheath. comprising of a flexible tipped obturator loaded inside a pre-formed outer sheath. Once in position this can be removed and the supported soft inner transfer catheter can be advanced through the outer sheath. comprising of an outer sheath, pre-loaded with a formable stylet, ready for pre-shaping as necessary to negotiate a difficult cervix. The stylet can then be replaced with the soft supported inner transfer catheter. Incorporating SureView® technology, Sure-Pro-Ultra™ is a unique supported ulltrasound visible embryo replacement catheter. This new product combines all the benefits of the new Sure-Pro™ range with the added benefit of viewing the catheter under ultrasound.